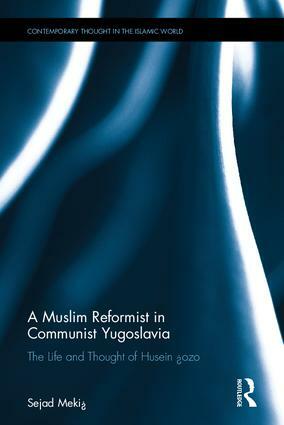 A Muslim Reformist in Communist Yugoslavia examines the Islamic modernist thought of Husein Đozo, a prominent Balkan scholar. Born at a time when the external challenges to the Muslim world were many, and its internal problems both complex and overwhelming, Đozo made it his goal to reinterpret the teachings of the Qur’an and hadīth (prophetic tradition) to a generation for whom the truths and realities of Islam had fallen into disuse. As a Muslim scholar who lived and worked in a European, communist, multi-cultural and multi-religious society, Husein Đozo and his work present us with a particularly exciting account through which to examine the innovative interpretations of Islam. For example, through a critical analysis of Đozo’s most significant fatwās and other relevant materials, this book examines the extent of the inherent flexibility of the Islamic law and its ability to respond to Muslim interests in different socio-political conditions. Since Đozo’s writings in general and his fatwās in particular have continued to be published in the Balkan lands up to the present, this monograph should help shed some light on certain assumptions underlying modern Islamic thought and consciousness found in the region. Introduction. Chapter 1: Historical Background. Chapter 2: Husein Đozo, his Life and Works. Chapter 3: Đozo’s Approach to Qur’anic Exegesis. Chapter 4: Đozo’s Legal Theory. Chapter 5: Đozo’s Fatwās, the Methodology of his Iftā’. Chapter 6: Đozo Theological Thought. Epilogue. Sejad Mekic is visiting Professor of Islamic Law and Jurisprudence at the Hojja Ahmed Yassawi Kazakh-Turkish International University, Kazakhstan. Previously Sejad was a lecturer in Islamic Law and Jurisprudence at the Muslim College London, and a lecturer and mentor at the Cambridge Muslim College, UK. His research and teaching interests include the history of Islamic legal theory, Islam in the Balkans, Islam and Gender issues, and Islam and Religious Pluralism. Sejad has published a number of articles on various aspects of Islamic law and ethics. His most recent article is "Remembering Srebrenica: the Roots of the Bosnian Genocide" (2015).